This was a week that kicked off with a seminar at the remarkable 13th century dungeons at Windsor Castle, and took in a visit to the Francis Crick Institute near St Pancras, which – when it’s finished next year – will be a world-leading medical research centre in the heart of London. Two very contrasting buildings spanning around eight centuries were just a couple of the great British places seen by a delegation of healthcare stakeholders from Turkey. It was my pleasure to be part of the Healthcare UK team welcoming the delegates from the major contractors involved in a massive expansion of the healthcare infrastructure in Turkey, as well as three officials from Turkey’s Ministry of Health. The contractors who arrived for UK Turkey GREAT Health Week are involved in delivering a pretty staggering expansion of healthcare in their country. Through private finance initiatives (PFIs) and public-private partnerships (PPP), around £8 billion is being spent building and upgrading up to 40 hospital sites across the country over the next decade. And when I say hospital sites, I should really say ‘campuses’. They are going to be huge developments, combining many specialist hospitals on one site, and in excess of 2,000 beds on one campus. According to Turkey’s Ministry of Health, a total of around 95,000 new hospital beds are needed by 2023. The Turkish delegates arrived for a three-day mission on September 1 to be greeted by a very high level team indeed. 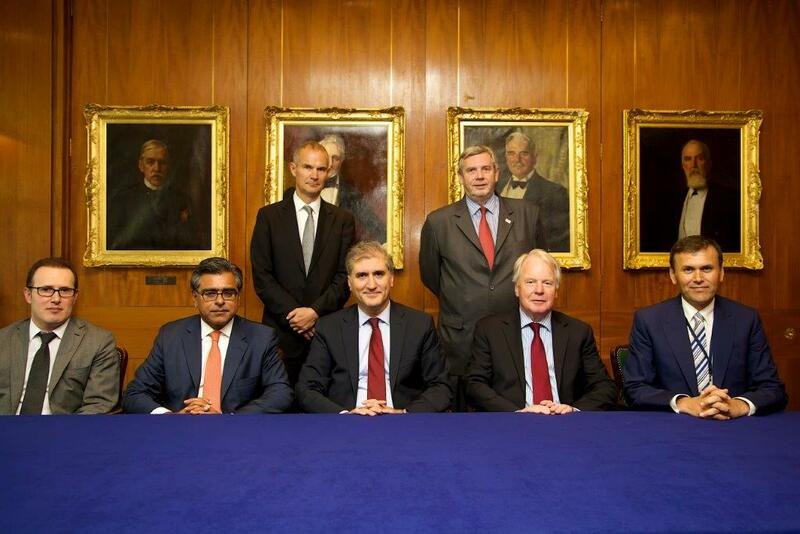 The mission was met in the fabulous setting of one of the Queen official residences, Windsor Castle, by UK Business Ambassador for Healthcare and Life Sciences, Lord Kakkar and the Prime Minister’s Trade Envoy for Turkey, Lord Janvrin. They spent three busy days ‘seeing and doing’, getting together for formal and informal meetings, having in-depth discussions on a range of topics including talking about how PFI and PPP has worked well in the health sector, and where it has been more of a challenge. In Britain, we’ve been there and done it, so the Turkish contractors and officials were very interested in learning from our experiences. The objective of the visit was to give the contractors some insight into what British companies have to offer across a range of disciplines including, among other things, planning, project management, design and architecture, and niche construction skills. The meetings and discussions were, naturally enough, tailored to this group of delegates who were predominantly from the construction industry. The meetings weren’t a one-way street by any means – they were very collaborative, with delegates from both sides working together to pool ideas. To ensure that we build on this successful event, it has been agreed that a joint UK-Turkey healthcare symposium focusing on PPP, digital healthcare and finance will be held in Istanbul in April next year. It’s one of a series of events, following on from the brilliant GREAT Festival of Creativity in Turkey in May in which UK healthcare companies played a major part. Future events include a PPP Conference in Istanbul coming up in December and an outward mission to Turkey in February 2015. Already the feedback from the British delegates has been really positive, and although most of the contracts for the work have only been awarded in the past few months in Turkey, we’re cautiously optimistic that there will be real deals signed at some point in the future.